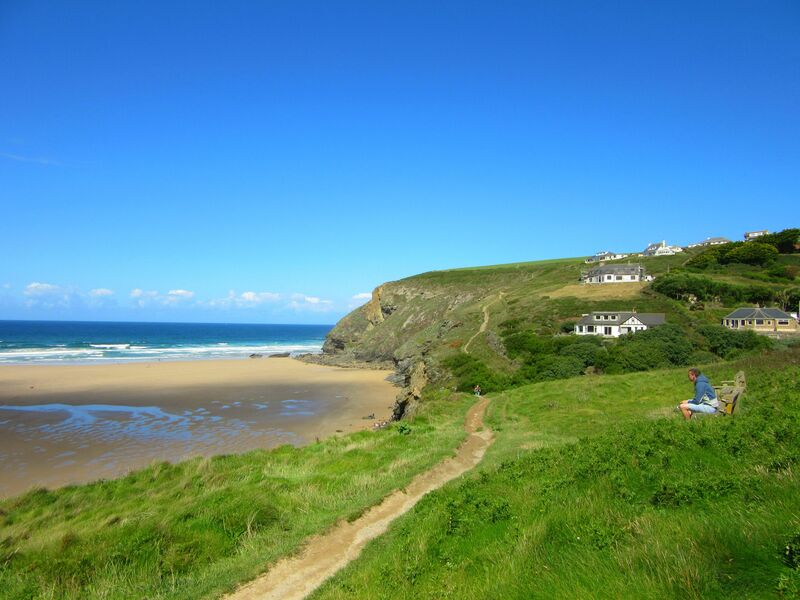 Instead of making our way straight to the cute little cottage that was to be our home for the weekend, we decided to make the most of the sunshine and headed straight to Mawgan Porth Beach which was only a short distance away. Being a bank holiday weekend, the tiny beach was packed with holiday-goers but we left them behind as we made our way up the path along the headland. There were so many simply stunning views along this short coastal walk that it was impossible not to stop every few minutes to take in our beautiful surroundings on such a lovely clear day. I mean, seriously, look how blue that sky is! After a walk that was supposed to only be 20 minutes but instead ended up being more like an hour (oops, I blame Google! 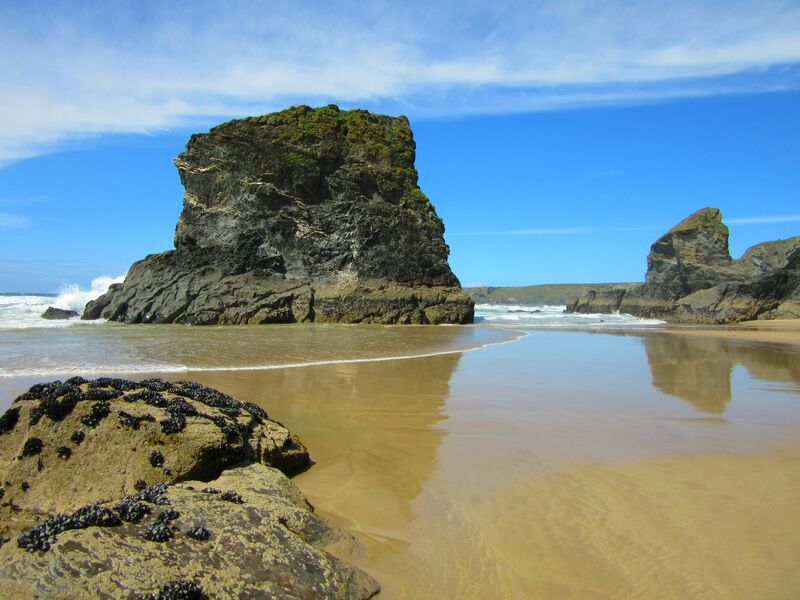 ), we rounded the next bend in the cliff and the rugged coastline of the Bedruthan Steps finally came into view. The tide was already starting to come in by the time we finally made it to the beach and despite most people quickly making their way back up to the top, of course we had to go down and have a quick look. I wasn’t walking all that way not to get my toes in the sand! Even if that did mean that I got completely windswept and almost washed away by the waves. The next day I’d arranged a surfing lesson for Alex’s birthday treat in Watergate Bay which was only a short drive from our cottage. His birthday may have been all the way back in February but it would probably have been a bit chilly to get in the sea at that time of year so we waited until summer. 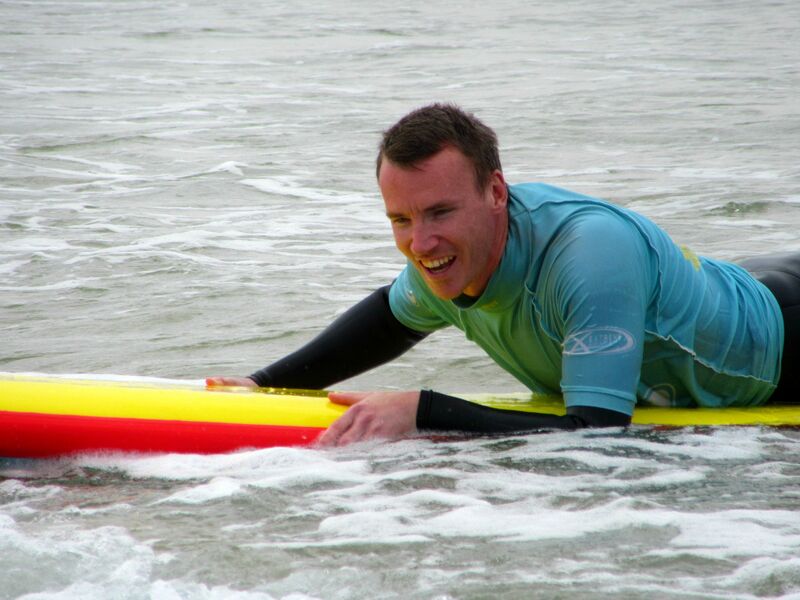 Even though warm water isn’t exactly guaranteed in summer either it was actually the perfect day for surfing. 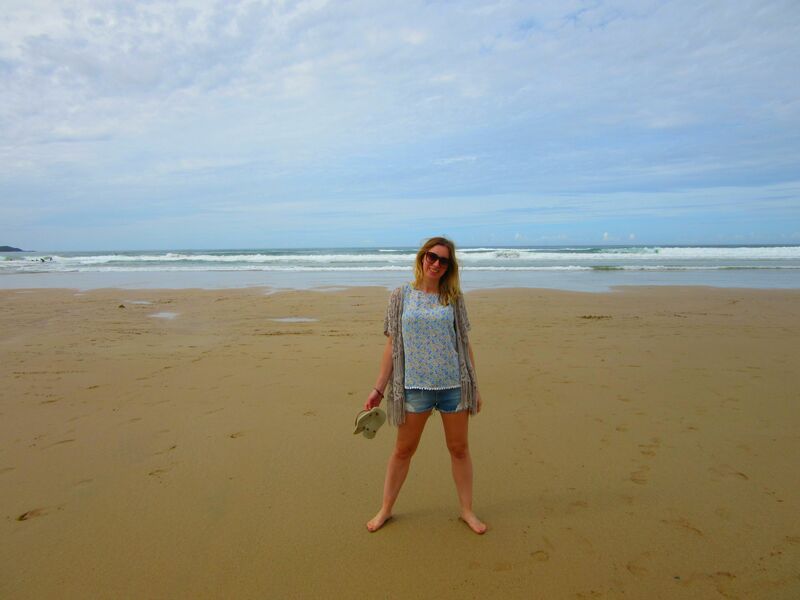 The sea wasn’t too cold and I even got my pasty legs out and dipped them in! Then I sat back, took lots of photos, watched and laughed (and laughed some more) as Mr Ayla attempted, with not much success, to stand up on his board. 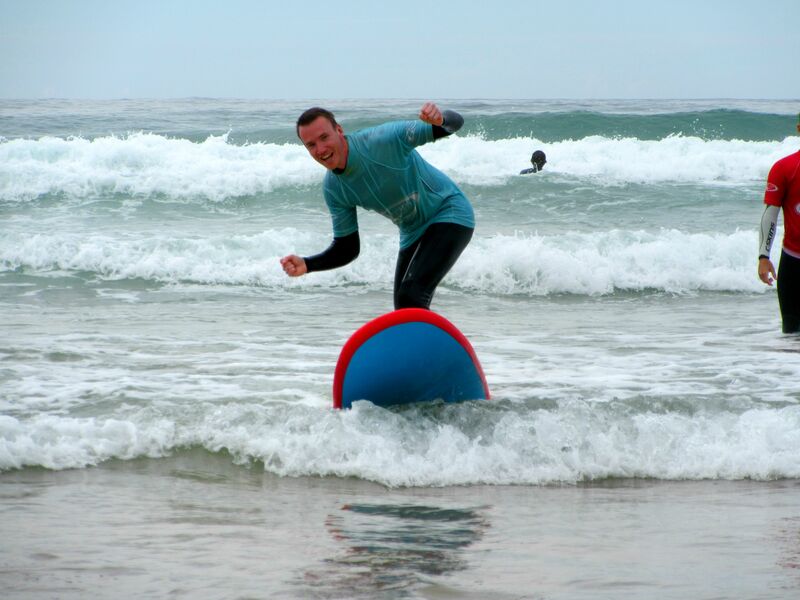 Even if it was only for a few short seconds his elation at eventually managing to get two feet on the board was obvious! Okay so I’m not going to lie – admittedly, there was still the odd day when the skies opened up and it poured down with rain. It is England, on the coast, during summer, so what more could we really expect. But we were determined to revisit the hotel in Newquay that we had stayed in for our mini-moon eight years ago, up on the edge of the headland overlooking the long stretch of Fistral Beach. 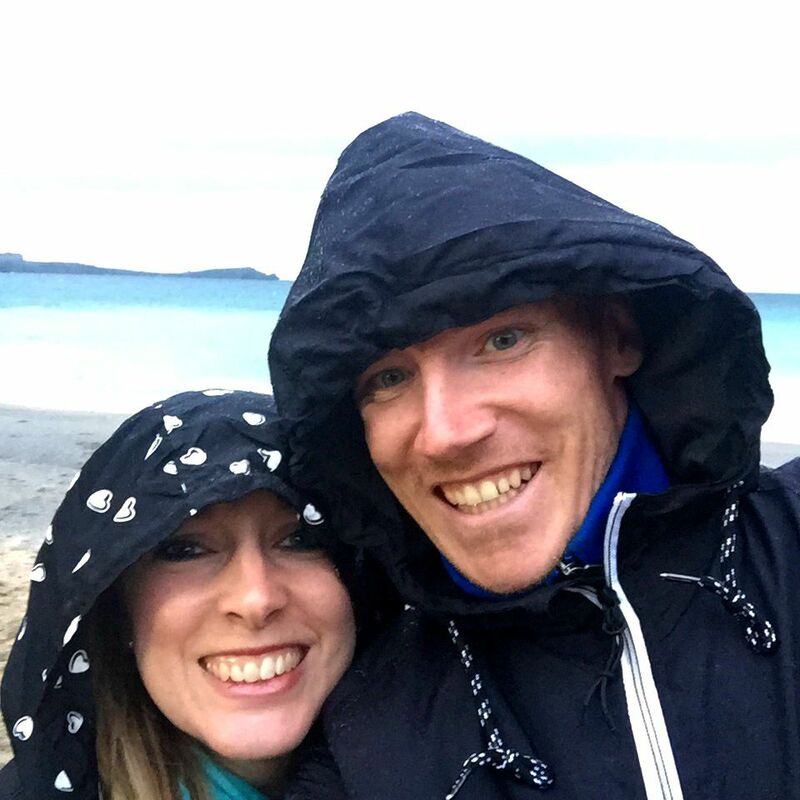 If anyone spotted a slightly crazy couple prancing along the beach in the rain, wearing rain macs in August, yup, that was indeed us. 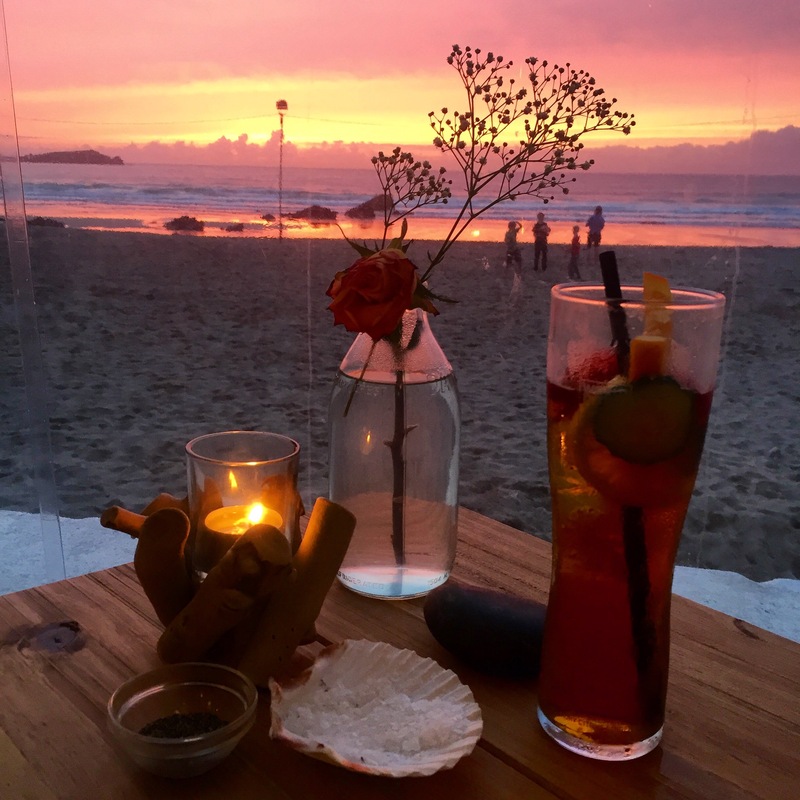 Regardless of whether it was raining or it had been a sunny day, the one thing that seemed to be guaranteed on Cornwall’s beaches, especially at Lusty Glaze, were the gorgeous colourful sunsets. 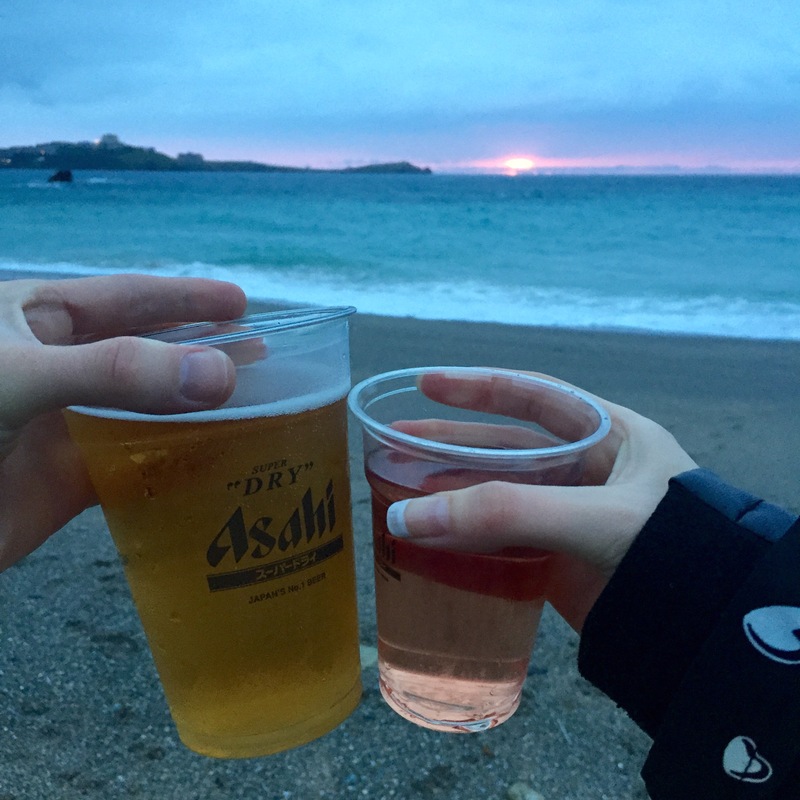 I couldn’t think of a better way to end each day than by sharing a drink on the beach while watching the sun go down. Great round-up! I love that neck of the woods too. 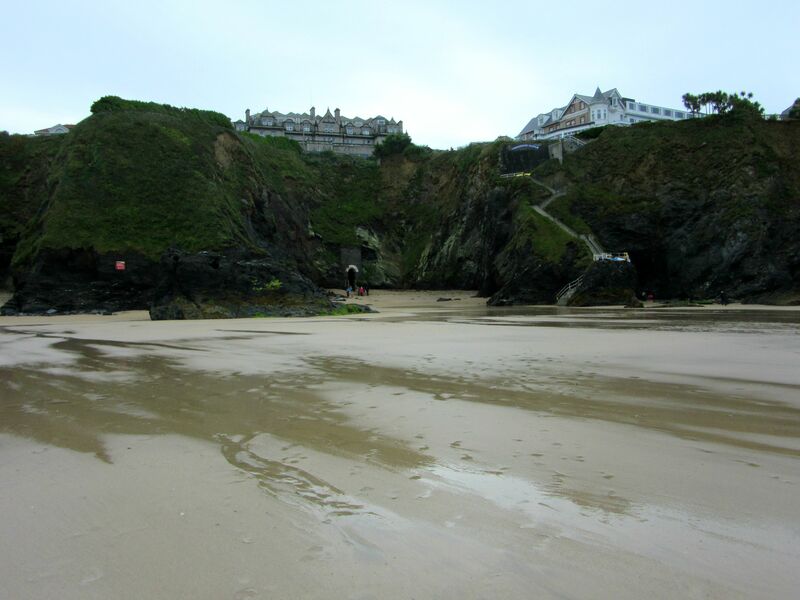 I got married at the Watergate Bay hotel, and the in-laws live in Padstow so I get there every few months. 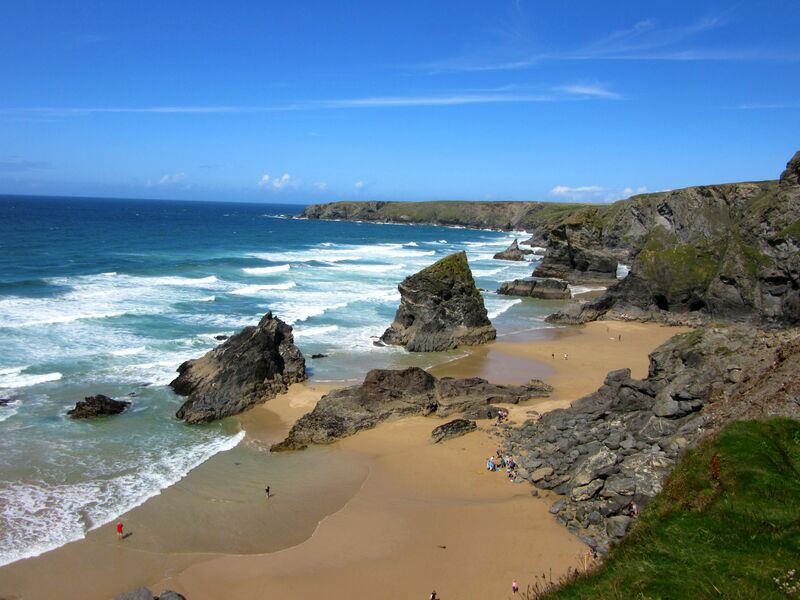 My current favourite beach is Rock but Bedruthan Steps (and its cafe) is up there too. 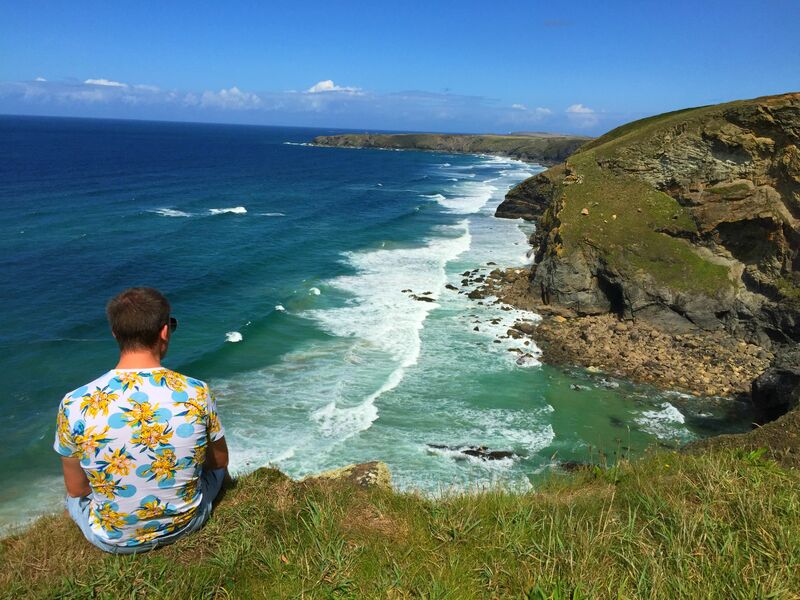 Ooh I love Cornwall and it looks like you both had a fab time! 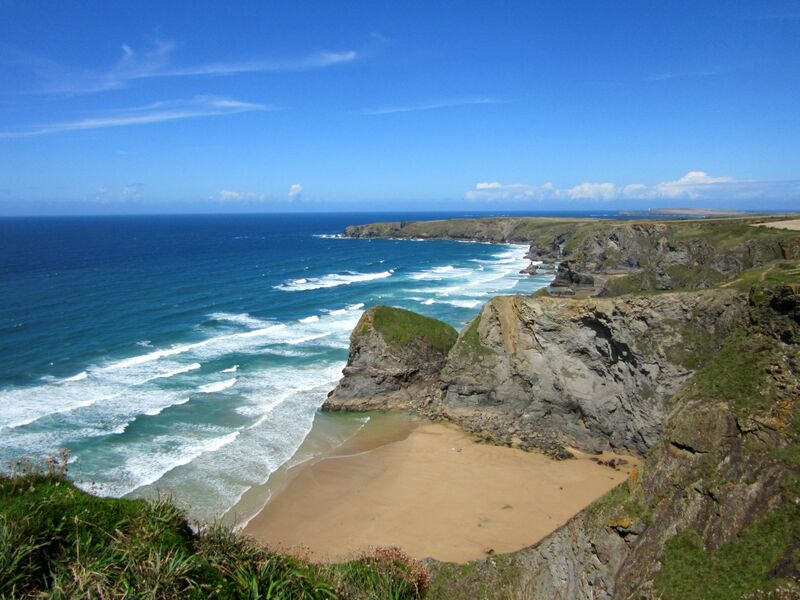 Hopefully I’ll be able to make it down there next summer – I have a dream of renting a camper van and living the beach bum life for a week 🙂 And those pictures you’ve got make Cornwall look like a tropical paradise, it’s so beautiful! Wow, those top few photos are gorgeous! Love that you still went out in the rain though 😉 And well done to Mr Ayla for standing up on the board – much harder than it looks I discovered! I’ve not been to Norfolk before so looks like I have some more exploring in the UK to do! 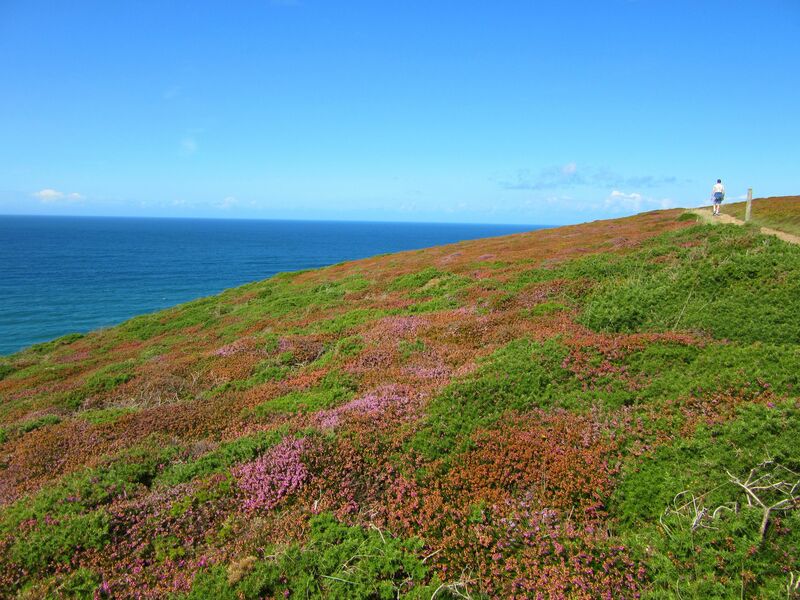 Gorgeous photos – I spent my min-moon down on the north Cornwall coast a couple of years ago, the weather was dreadful but it was still gorgeous – will have to go back and see what it looks like in the sunshine! That coastline looks beautiful and those sunset pics – wow! The coast pics remind me of my visit to Pembrokeshire. I definitely need to schedule a trip down this way! That sunset was just gorgeous Char. Even Alex had to stop half way through dinner to take some photos – that’s usually my job! 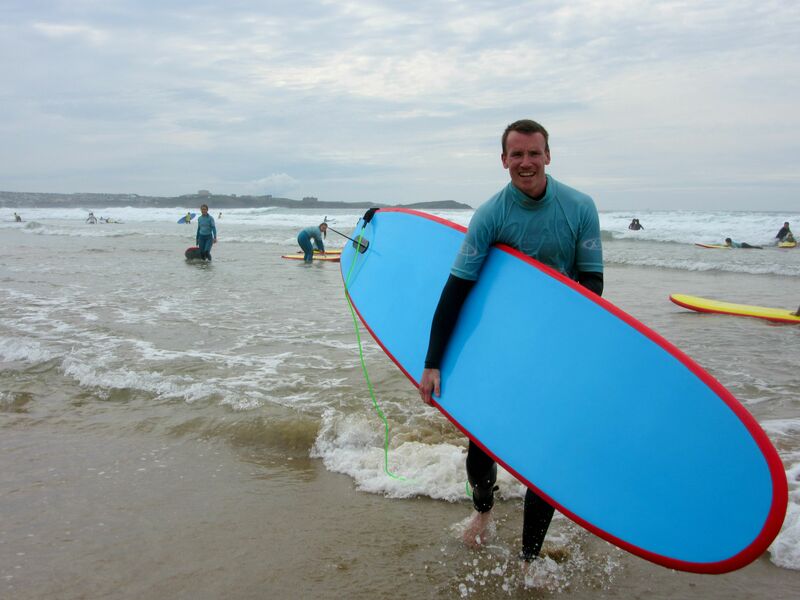 That photo of Mr Ayla riding the surf is so cool! Well done him! Sounds like a lovely week, Britain can be so glorious when the sun comes out for a while, I love our beaches and coastal walks. 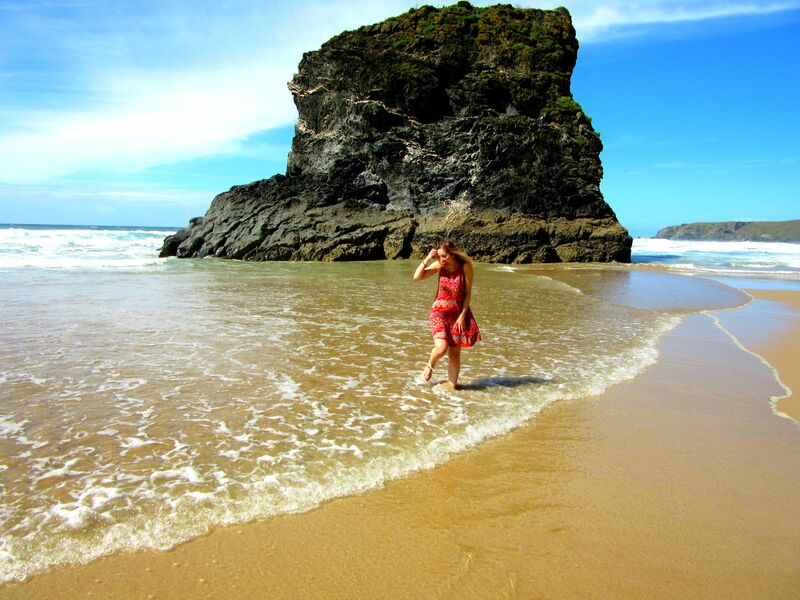 I haven’t been to Cornwall for years, these photos are really tempting me back Ayla! We’re north all the now till next summer probably! We didn’t venture that far but we definitely want to explore some more of the coast. So stunning! Ooooh I love Cornwall 🙂 I’m so glad you had nice weather for most of it lovely! The coastline is stunning (and that is a lot coming from an Aussie haha). Haha that makes the beaches 10 times as gorgeous then! Great photos of what I know is a wonderful bit of coastline. Glad the two of you had such a wonderful time. Just a wee thing though, many Cornish will be quite offended that you have said that Cornwall is in England!! Haha apologies to the Cornish folk then! 😉 It’s still beautiful wherever it is! This is completely stunning! I never imagined England would ever look like this haha!